The hibernation, if called so, comes ultimately to an end, and the anticipation of the new season goes up. 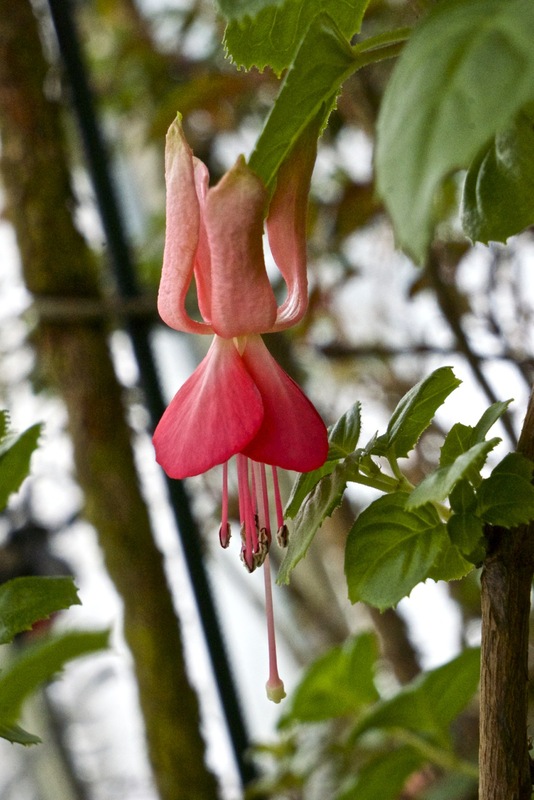 Some question keep the same every year: what plant did not eventually survive the winter in good shape or not at all, and are there some being even better than the last years? 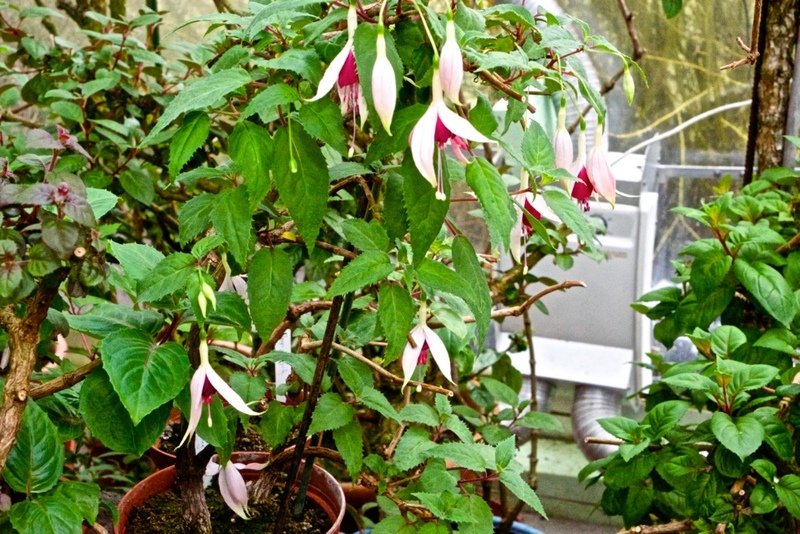 How often and what quantity of watering is required within the greenhouse? And, controlling for vermin, shall i use insecticides already? The last question has to be answered, in my case, with a undoubted yes, for there are way to many aphids on the young sprouts and leaves. 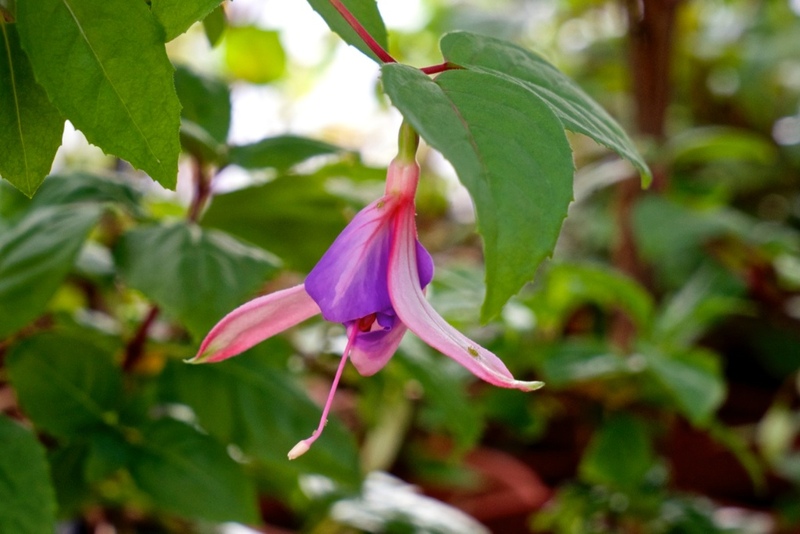 And, beside that, i made the the experience up to now, that it is quite beneficial to spray the plants against the dreaded Fuchsia-Fungus in advance early as the new leaves are grown. Therefore i did treat them some days ago with a combination of insecticides and fungicides. 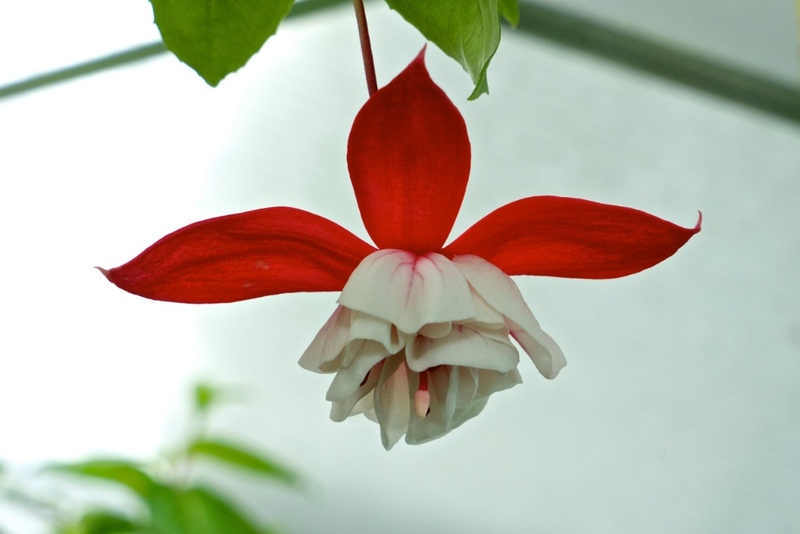 The next time, using the sprayer in the greenhouse, i will use only lukewarm water with a leave-going fertilizer and a bit detergent- to make the water better lubricate the wood. 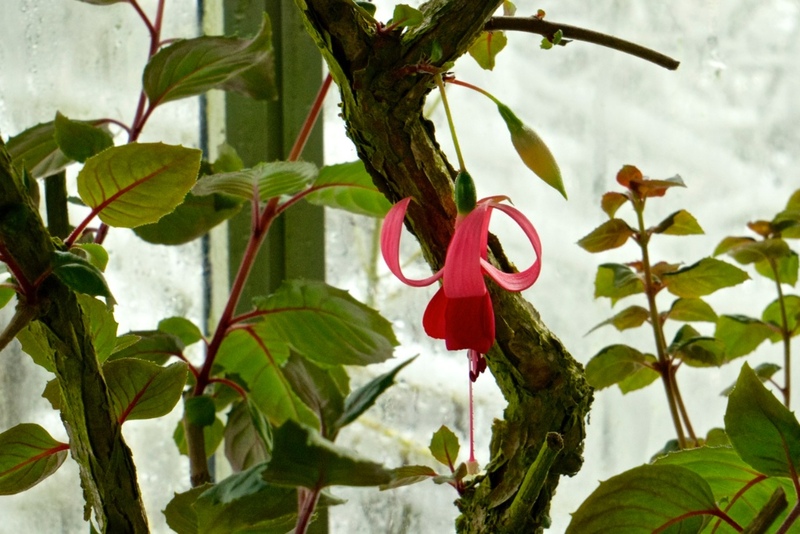 This way i try to avoid to much watering; but the need of the plants for water is ever increasing now, since the temperature within the greenhouse rises above 20°C easily even with short periods of sunshine. E.g. 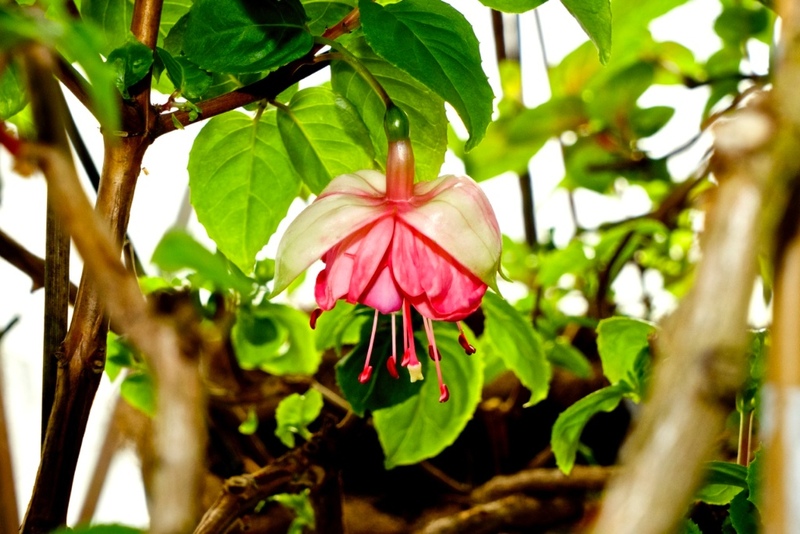 taking cuttings and planting them, best done from Fuchsias who will have to be cut back early for growing bushy plants. The Moon-Calendar suggests best to do that while the Moon is on a descending direction. As it can be seen in the photo, i do heat the floor to encourage the growth of the roots. One of the most time-demanding work in the next weeks will be to repot many of the plants from the last years. 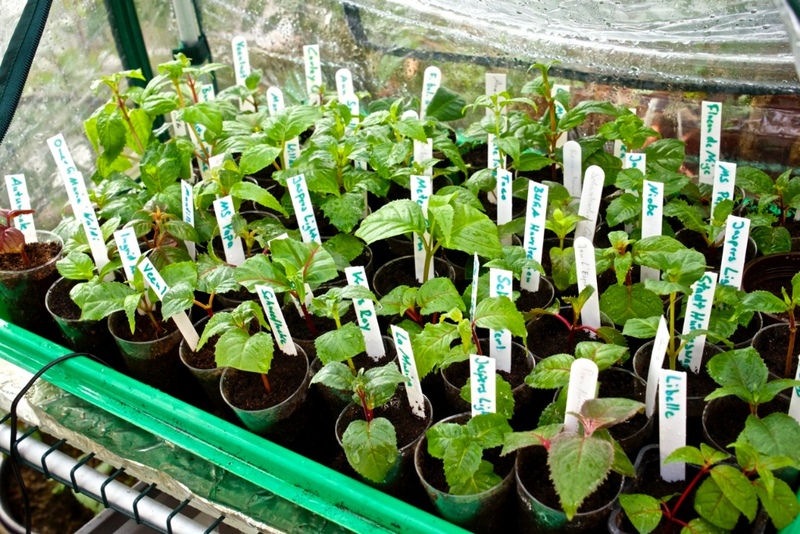 Partly i will only replace the substrate, partly they will near larger pots if they have grown out of the old ones. Some of my plants did already grow blossoms. It may be advisable to remove the blossoms this early to make them flourish more profound later, but sometimes i want to rejoice in them even a short time!